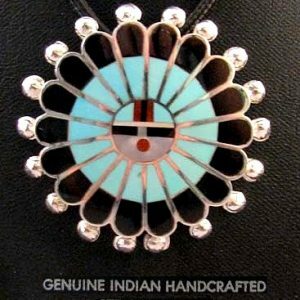 This simple Navajo made sterling silver pendant features a teardrop shaped Blue Gem turquoise stone. 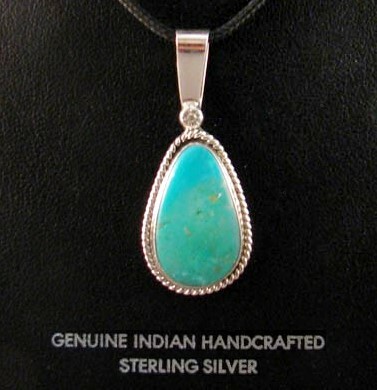 The stone is .875 in. 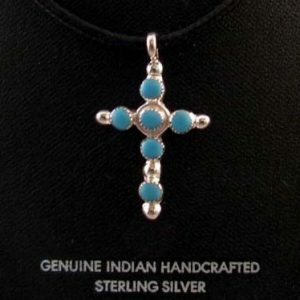 long, the pendant is 1.75 in. 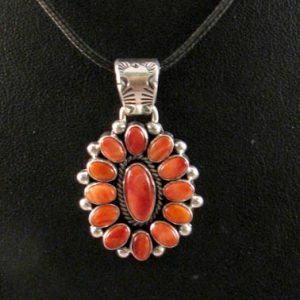 long complete & comes on a black leather cord. 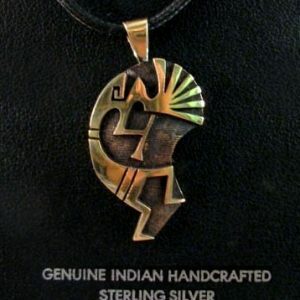 A classic Navajo silverwork piece by Navajo silversmith Jimmie Patterson.